STATEN ISLAND, NEW YORK (June 7, 2017) – With a staggering 38.9 percent of Staten Island students in Kindergarten through 8th grade classified as either overweight or obese, a new coalition has formed to reduce childhood obesity and the associated burden of chronic illness to ensure that SI children have a healthy future. The Staten Island Child Wellness Initiative (CWI) launched today during an event at the Ocean Breeze Athletic Facility to coincide with Global Running Day. The event, sponsored by the Office of the Borough President James S. Oddo and The Staten Island Partnership for Community Wellness (SIPCW), was supported by New York Road Runners and the New York City Parks Department. The CWI is a cross sector coalition of more than 60 organizations, comprised of community stakeholders, schools, community-based organizations, youth-serving organizations, food justice partners, healthcare systems, elected officials, faith-based leaders, parents, and children from Staten Island and New York City who have come together to fight the alarming levels of childhood obesity on Staten Island. The idea for the CWI was generated out of a series of meetings of Borough President Oddo’s Health and Wellness Advisory Council when participants engaged in spirited discussions about how they could have the greatest impact on Staten Island’s health outcomes, particularly young people. Thanks to generous funding from The Staten Island Foundation, and a strong partnership between Borough President Oddo and SIPCW, the SI CWI has worked tirelessly on creating a thorough and ambitious action plan working to increase opportunities for healthy living where children and families live, learn, and receive care. The CWI’s progress will be measured by changes in BMI over time in Staten Island children. 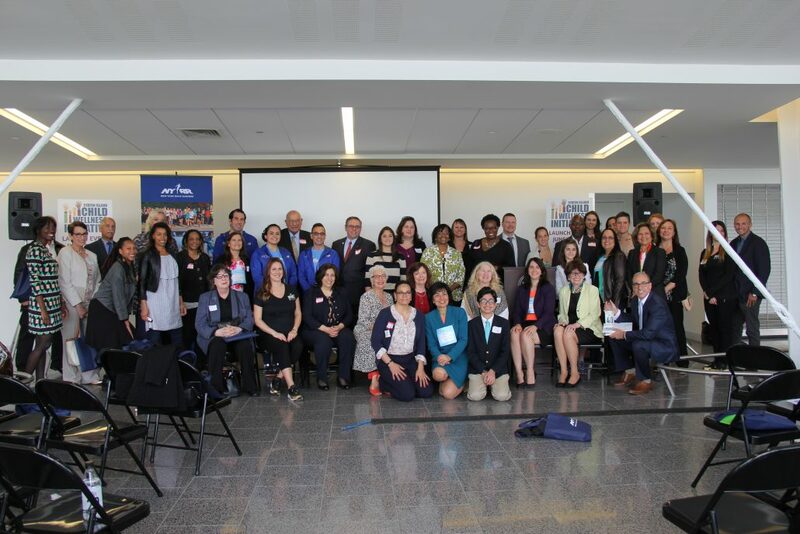 Today’s event featured an array of speakers and presenters from across New York. Deputy Mayor Dr. Herminia Palacio and Dr. Abigail Velikov from the New York City Department of Health and Mental Hygiene spoke about the issue of obesity and presented the problem from a medical standpoint. Meghan Rossi, co-founder and chief operations officer of Moral Kings, discussed the importance of partnerships with parents and businesses. Staten Island Borough President James S. Oddo shared his support for the initiative in the closing remarks. The CWI is actively seeking partners and funding to implement the blueprint across Staten Island. To make a donation, visit the CWI’s fundraising website. To learn more about the CWI and how you can get involved, visit SIPCW.org/childhood-wellness.